VCE was established in the year 2010 under ages of Mata Vaishno Devi Educational Society Management. At VCE we strive to shape engineers who can excel in their respective fields. The emphases are on developing a well rounded personality in the students who are trained to be prudent and practical with an ability to balance vision with ground realities. Our aim is that the ‘student must Learn’. The process of learning is not just class room learning but encompasses a wider spectrum of activities predicted on compassion interaction dialogue and commitment which strengths and broadens the mental horizon of the student. 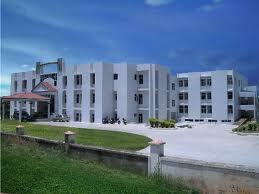 Hostel : 1) In campus hostel facilities is available separately both for boys and girls on sharing basis. The building is newly constructed with spacious semi furnished and well ventilated rooms common room with Television and indoor games, is available which provides the hostel inmates an avenue for relaxation. Round the clock water supply with solar water heating system and captive power supply is also available in case of a power failure. 2) Hostel allocation will be done on first come first serve basis to the students their deposit he hostel fee at the time of counseling/ admission..